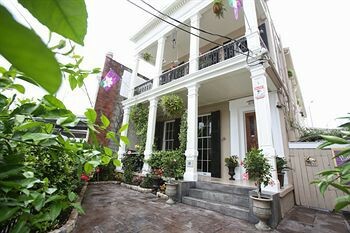 Property Location Located in New Orleans (Garden District), Fleur De Lis Mansion is minutes from Margaret Statue and Ernest N. Morial Convention Center. This bed & breakfast is within close proximity of Annunciation Square and Coliseum Square.Rooms Make yourself at home in one of the 8 air-conditioned rooms featuring fireplaces and flat-screen televisions. Cable television is provided for your entertainment. Conveniences include coffee/tea makers and irons/ironing boards.Rec, Spa, Premium Amenities Enjoy recreation amenities such as a spa tub or take in the view from a garden. Additional features include complimentary wireless Internet access, tour/ticket assistance, and barbecue grills.Dining Mingle with other guests at a complimentary reception, held daily. For your convenience, a complimentary breakfast is served daily.Business, Other Amenities Free self parking is available onsite.